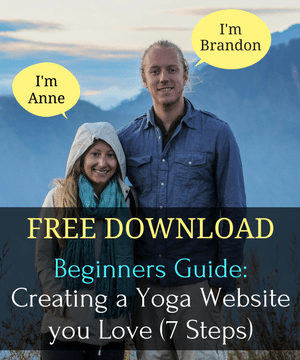 We’re Anne & Brandon, the co-founders of The Yoga Nomads. 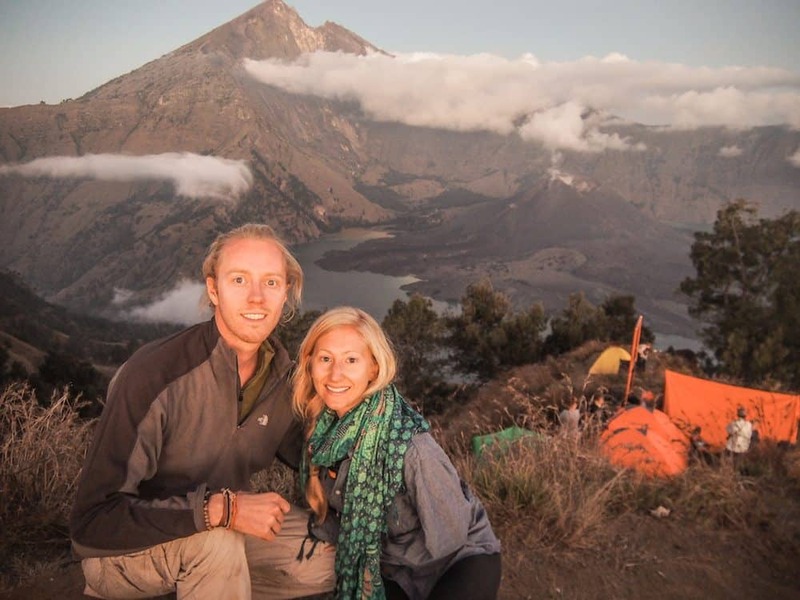 We’re an American couple who escaped Corporate America by combining our love for yoga, entrepreneurship, and travel. Life is more than sitting at a desk 40 hours a week always dreaming of the next vacation. Not wanting THAT to be our reality, we decided it was time to become our own boss. Insert: The Yoga Nomads. Inception: 2013. 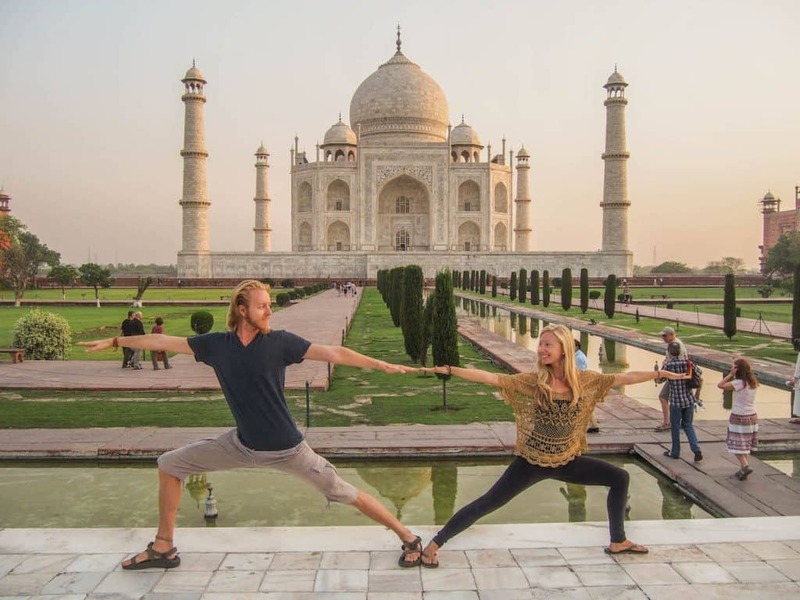 Equipped with over 8 years of corporate business experience and many hours teaching yoga all over the world, we began The Yoga Nomads to empower yoga teachers to create sustainable yoga businesses without selling their soul. Talking to yoga teachers in every country we visited, we began to notice a pattern: yoga teachers are struggling financially. Many are burning out teaching 20+ classes a week just barely able to make ends meet. An unfortunate, but harsh reality. We strongly believe yoga teachers can create a fulfilling career doing what they love, and we’re here to help show the way. With freedom at the center of everything we do, we guide our clients through proven processes to achieve more freedom in their lives, all the while earning a fair income doing what they love. This stage is all about figuring out who you’re meant to serve and what unique qualities you bring to the table. Your goal is to understand your ideal client so well that you’re able to effortlessly create things they’ll love! After identifying your niche, things like creating a website, connecting with your ideal client, and creating successful products/services will become WAY easier! 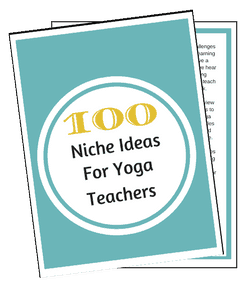 Start by downloading this free resource: 100 Yoga Niche Ideas. 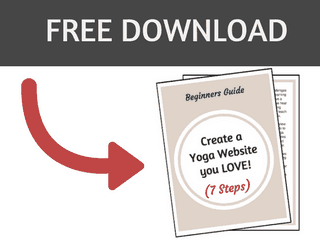 This is a great starting point for identifying your own personal yoga niche. After getting clear on who you’re meant to serve, it’s time to create your “business home base,” also known as: your website! Your website builds your credibility, creates deeper connections with your students, and helps market your offerings (workshops, retreats, privates, coaching, etc). Time to start connecting with your ideal clients. This means being active in your local yoga community & connecting with your ideal clients online. If you haven’t by now, it would be wise to setup an email newsletter. Email Marketing is the most effective way to build relationships with your ideal client. The goal of this stage is to create a following of students who trust you and who’d be willing to consider your offerings. After creating a following of potential clients… it’s time to ask your peeps to invest in something you’ve created. This means launching something outside the studio that your students might want. 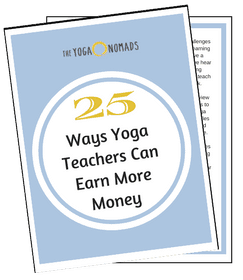 Many yoga teachers focus on retreats, workshops, privates, or coaching… but the reality is it can be ANYTHING your students might want/need. 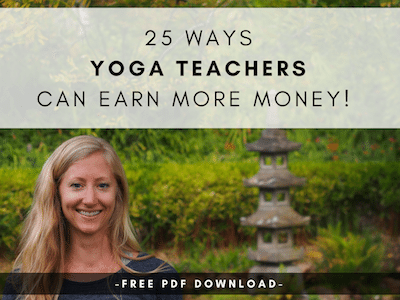 If you’re not sure what type of premium offering makes sense for you, download our Free Guide: 25 Ways Yoga Teachers can Earn More Money. Woohoo you finished the hard part! (The fun part is up next… but the work is not over). Now that you’ve acquired some clients/students/customers it’s time to over-deliver on your promises. Take great care of each of your clients (especially the first few). These clients will become your biggest fans and help you acquire more clients through word of mouth, referrals, etc. Did my offering provide value to my clients? Should I try to launch another offering or improve the one I already created? Does this type of work fill me up? It’s important to continually invest in yourself and your business. Learn new skills, read books, listen to podcasts, hire a virtual assistant, do some networking, buy an online course, whatever works for YOU! If you’re new around here, we highly recommend checking out our Start Here page. 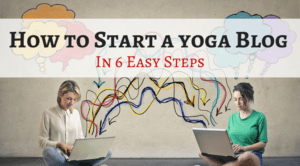 We share some insights into the yoga industry and provide tons of free resources to support your yoga-entrepreneurial journey. If you’re serious about building your yoga business, it might make sense to check out our premium offerings. We focus on self-study online programs, but periodically we have openings in our consulting business (we work together inside your yoga biz). I am Jyothi Prakash SVYASA Student from Bangalore India. Few weeks we had a meeting in our Center, where my teachers were explaining about some camp where they will show you how much of your Sugar level, Stress level, etc has reduced with 10 day training program. They will test your stress & sugar levels and at the end of 10 day program u can see the difference with proof. I thought you may be interested in such tings, so just thought of putting a word to you. If interested you can contact me. Where was the interview with Daniel Scott held? I’m John, I’m a new yoga student. & really enjoyed your website content. Thank you!